Westminster John Knox Press, 9780664263904, 176pp. Over the past few decades, the roles women play in public life have evolved significantly, as have the pressures that come with needing to do it all, have it all, and be all things to all people. And with this progress, misogyny has evolved as well. Today's discrimination is more subtle and indirect, expressed in double standards, microaggressions, and impossible expectations. In other ways, sexism has gotten more brash and repulsive as women have gained power and voice in the mainstream culture. Patriarchy is still sanctioned by every institution: capitalism, government, and even--maybe especially--the church itself. This is perhaps the ultimate irony--that a religion based on the radical justice and liberation of Jesus' teachings has been the most complicit part of the narrative against women's equality. If we are going to dial back the harmful rhetoric against women and their bodies, the community of faith is going to have to be a big part of the solution. Pastor and author Erin Wathen navigates the complex layers of what it means to be a woman in our time and place--from the language we use to the clothes that we wear to the unseen and unspoken assumptions that challenge our full personhood at every turn. 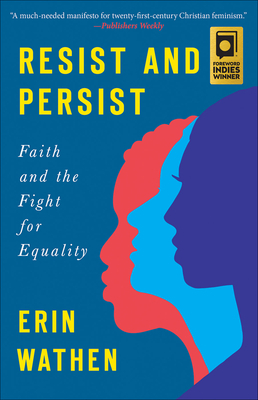 Resist and Persist reframes the challenges to women's equality in light of our current culture and political climate, providing a new language of resistance that can free women and men from the pernicious power of patriarchy.